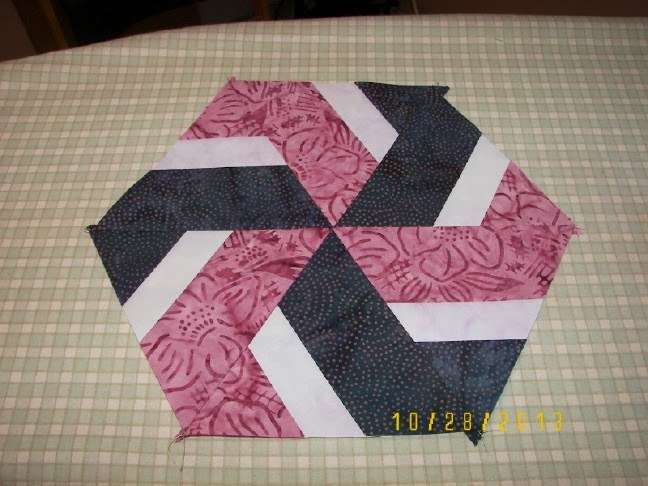 This is the design for a new donated project our monthly Thursday night quilters want to make. This is the first batik fabric I've purchased - yes I love it, but there is so much standard cotton to use! It's called Eli's Wheel and is a free pattern at Moda Bake Shop. 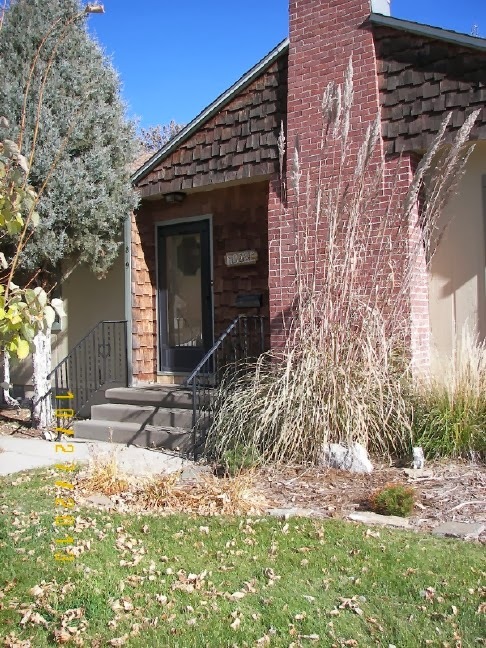 Note the prairie grass against the bricks, now taller than the house - it grows from nothing in the spring to over the roof in places. I really wanted a tree in that place, but trees take so long. Those plumes will last until spring when I cut them down, ready to start over. Rocky Road to Kansas. My last Hurrah of fall - basting in the garage, where I set up the 2 tables, and put legs on legs, to keep from bending over for pinning. This job from beginning to end (assuming all is pressed) takes about 45-60 minutes, from set-up to take down. 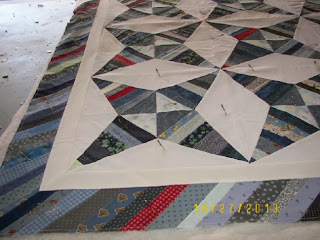 Now to get to the quilting, my favorite part, although I haven't a clue as to quilting design. Here's what I decided for the border. More stash use-up. Today is lovely, but icy, snow, drizzle coming our way. That border adds some va-va-va-voom! You have the basting process down to a science! Good job! I am liking both of these designs. 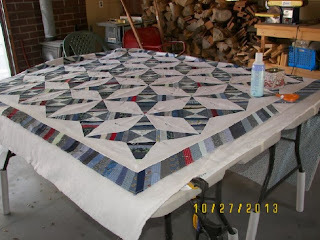 Love the new design you are working on and the one you just basted. I just hate that part of getting a quilt done. Would be happy if someone would just jump up and volunteer to baste my large quilts - you would see a happy dance from me if that ever happened!